Managers and supervisors of customer service teams are tasked with ensuring their team members consistently deliver high levels of service. To do this they must ensure that they regularly provide training for their team members to ensure that bad habits do not creep in and become "the norm". 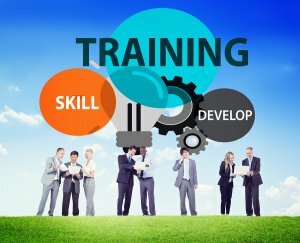 Much of this training can be on the job, but it is also useful for customer service managers and supervisors to run their own group training sessions with their team at team meetings. Role play sessions are particularly useful in developing and honing customer service skills, yet many un-trained "trainers" shy away from using this training method. Here are some tips to help you incorporate role play into your training sessions. Using role-playing in customer service training sessions can provide good learning opportunities. In role play your team members imagine themselves in a specific situation and are asked to act accordingly. They speak and behave as they would do if they were themselves, or as a customer in this situation. In so doing they not only develop their own customer service skills but they also develop empathy for other people’s ways of thinking and behaving. Role play sessions are particularly useful for providing team members with the opportunity to practice the specific behaviours needed for handling customers by telephone as the team members do not have to look at one another as they practice. Indeed, it is better that they place their chairs so that they face in opposite directions. You do not need to have actual telephones for your team to use during your training sessions; these can be imagined for the exercise. 1. Several short five to ten minute role plays are better than one long role play as more customer scenarios can be covered and the errors discussed immediately. 2. Give very clear instructions about the objectives and context. 3. Only practice parts of the conversation or scenario, never attempt to do the whole conversation. 4. Get everyone to take part, ideally actively but at least as observers. 5. Get the role player’s to review the role play they have just done first by asking: ‘What do you think of how the conversation went? What went well? What were the problems?’ Only when they have had the chance to do this should you involve the observers. 7. Make sure there is enough time for discussion. Schedule twice as much discussion time as there is role play time. A common mistake is to not allow enough time for review. 8. You can also make the role play more spontaneous by stopping part way through the scenario and getting the two people to swop roles. By incorporating role play into your team training sessions you can make the training fun and effective. If you need help developing training materials, then take a look at our training course materials section - where there are a number of courses designed by us that are available for you to purchase and use. Or, if you prefer, we can design and run in-company training sessions for you.